It seems that the covariances of the resolved resonance parameters are inappropriate. 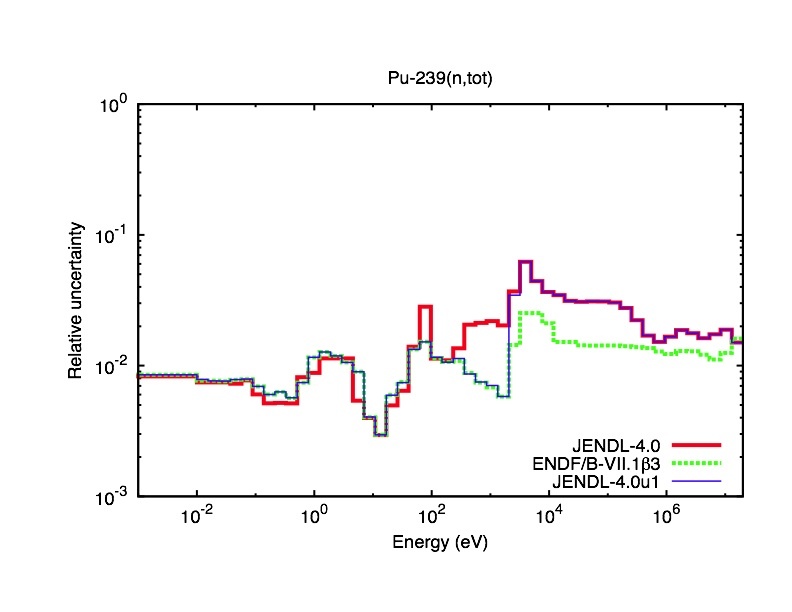 The relative standard deviation of the thermal fission cross section is incredibly large (~5%) for U-235. 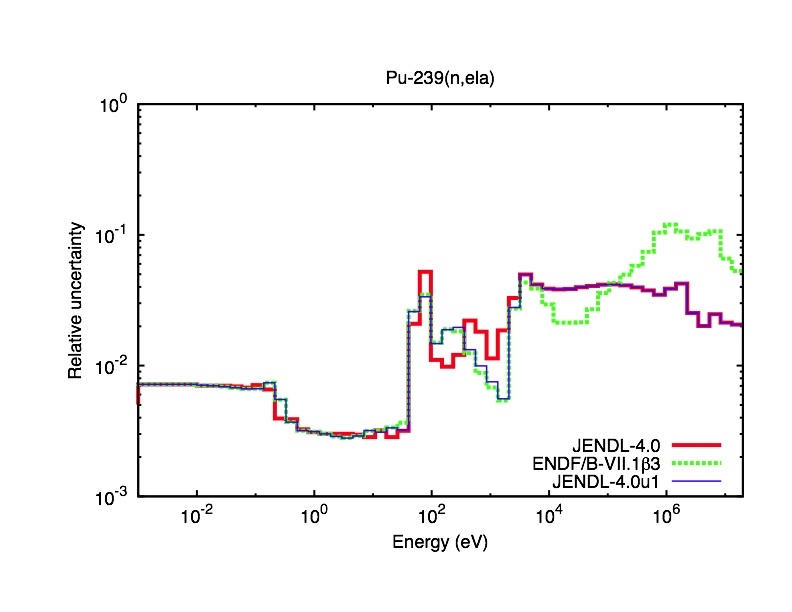 In JENDL-4.0, the covariance matrix was obtained from a subset of the full matrix derived by Luiz Leal, ORNL. This was done due to the fact that the original full matrix was too large to process. However, there is a long-range correlation between the thermal region and the distant resonances. Therefore, trimming of the matrix should not have been done. 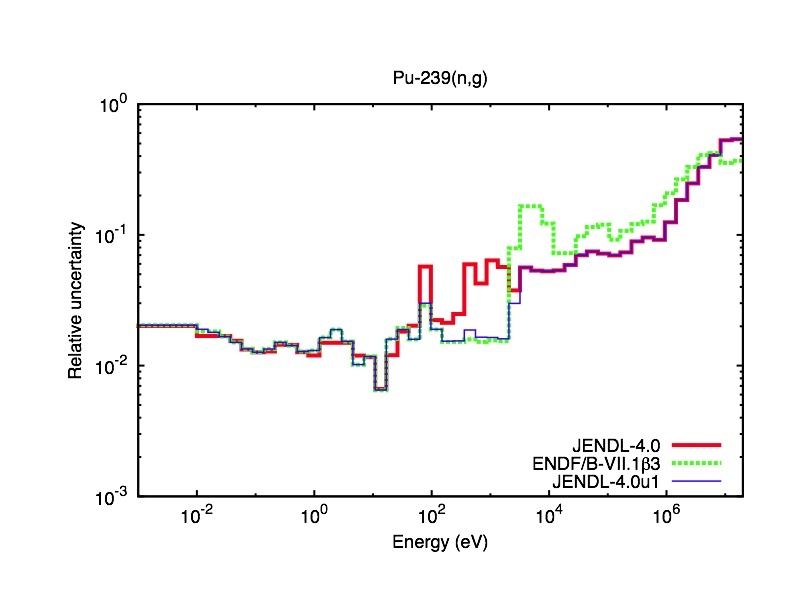 The covariance matrices of the cross sections for U-233, 235, 238 and Pu-239 have been recalculated with the full covariance matrices of the resonance parameters by the NJOY-99 code applying a patch provided by G. Chiba. They give good agreements with those obtained by the PUFF code which is used to provide the data for ENDF-B/VII.1. The NJOY results have been adopted in the sections of MF33. The sections of MF32 in U-233, 235 and 238 have been removed. O. Iwamoto revised the covariance data. 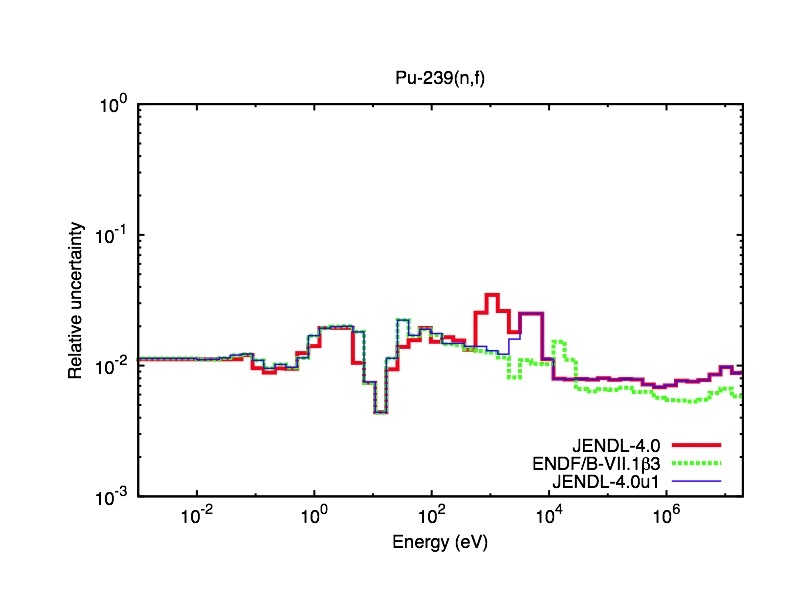 Other data remain unchanged from JENDL-4.0.